Throughout his long and distinguished career, Jacob ("Jack") Schwartz has made major contributions to the field of parallel computation and many other areas of pure and applied mathematics and computer science. Says colleague Martin Davis, professor of computer science and mathematics at NYU, "Jack's style has been to enter a new field, master quickly the existing research literature, add the stamp of his own forceful vision in a series of research contributions, and finally, leave behind an active research group that continues fruitful research for many years along the lines he has laid down." Schwartz earned his B.S. at the City College of New York in 1948, and his Ph.D. at Yale University in 1951. He began his career as a mathematics instructor at Yale and in 1953 was promoted to assistant professor. In 1957, Schwartz joined the faculty at New York University (NYU) as associate professor, and in 1958 was promoted to his current position of professor. 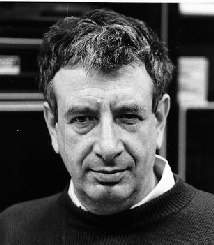 Schwartz entered the relatively new field of parallel computation in the 1960s and became seriously dedicated to the design of a scalable shared memory architecture in the late 1970s. In 1980 he wrote the influential paper, "Ultracomputers," which appeared in the ACM Transactions on Programming Languages and Systems (TOPLAS) in October of that year. In this paper he proposed the notion of an ideal shared memory parallel computer and an implementation called the Ultracomputer, based on a shuffle-exchange network, to approximate the ideal model. This led to the development of the NYU Ultracomputer, a shared memory multiple instruction multiple data (MIMD) parallel computer containing thousands of processors connected by an Omega network to a like number of memory modules. Schwartz was the driving force behind the project, setting the general direction and standards and gathering a core group of people to develop it. Some of the components of the project, such as the use of fetch and add as a powerful scalable synchronization primitive, are now common in many parallel systems. Schwartz was also active in encouraging industry to apply research resources to parallel computation. In the early 1980s, he forged a collaboration between NYU and IBM for the IBM RP3 project, which led to a 64-node prototype that was used for research in parallel OS, parallelizing compilers, and parallel applications. He was director of the Defense Advanced Research Projects Agency Information Science and Technology Office (DARPA/ISTO) from 1987 to 1989, where he influenced the research agenda on parallel computing, and was involved as a consultant during the initial stages of the Thinking Machines Corporation. Some of the other areas include spectral theory of linear operators, von Neumann algebras, macro economics, the mathematics of quantum field theory, computer time-sharing, high-level programming languages, robotics, and multimedia. Schwartz has since moved to other areas of research, primarily robotics and multimedia, and is currently working on developing a design for a new multimedia language and environment. His key strategy is to specify a framework in which many graphical facilities can be brought together in an environment that facilitates their use. The language will aim to accommodate large projects and data sets, and support cooperative work by a substantial groups of developers. Schwartz is a member of numerous editorial boards, including Communications on Pure and Applied Mathematics, Advances in Applied Mathematics, Journal of Programming Languages, Discrete and Computational Geometry, Computers and Mathematics with Applications, and Psychoanalysis and Contemporary Thought. His honors include Sloane Fellow; Wilbur Cross Medal, Yale University; Townsend Harris Medal, City University of New York; Steele Prize, American Mathematical Society; Mayor's Medal for Contributions to Science and Technology, New York City; and member, National Academy of Sciences. He is the author of 18 books and more than 100 papers and technical reports. Editor's note: "Parallel Computing Pioneers" is a new column that features profiles of scientists who have made significant contributions to the field of parallel computation.